KATHMANDU, July 18: Prime Minister and Chairman of the Nepal Communist Party (NCP) KP Oli has come down heavily on the party leaders and cadres for not defending good work done by the government and failing to tackle criticism by the opposition. During a meeting with party leaders and cadres at the party office at Dhumbarahi on Tuesday, Oli urged them to publicize the government’s good work and refute false criticisms. “Some ill-intentioned people have spread rumors about the government. Party leaders and cadres as well as the public should defend the government’s activities,” said the prime minister. 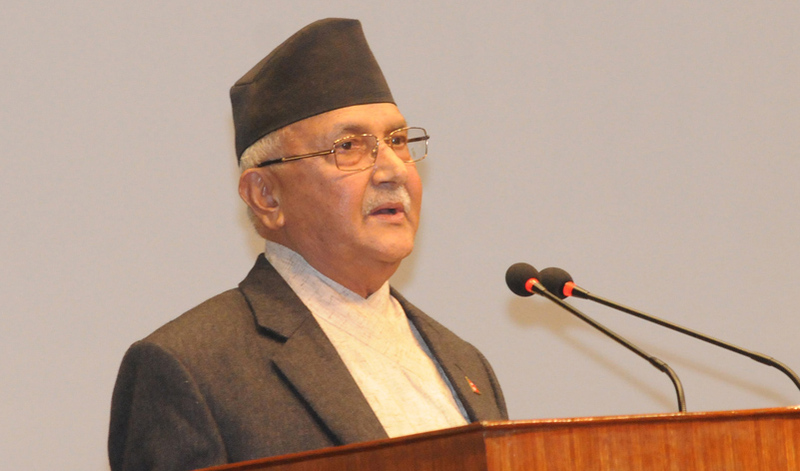 Stating that all the opponents have come together to criticize the government, Prime Minister Oli vented ire on party ranks for not defending progressive and people-centric policies of the government. “I don’t see anyone in the party who can speak up and write up. The government has been doing good work but no one is defending it, no one speaks up for it,” he said. He was of the view that political foes have been criticizing the government over issues that existed even before the formation of this government, and they have been doing so as they don’t have any valid issues. Indicating the fast-unto-death by Dr Govinda KC, Oli said the government will not take any decisions under pressure from anyone. “Government will do its work while abiding by the constitution, laws and rules, not under pressure or duress,” he reiterated. Oli urged the party cadres and the general public to exercise patience for prosperity, claiming that the government has been working for that goal, while correcting the wrongdoings of past governments. Meanwhile, the newly-formed NCP has proposed making it mandatory for all party office bearers including the chiefs to get elected from their respective regions in order to become representatives at the party’s upcoming General Convention. NCP has been planning its first general convention after the merger of the two leftist parties--CPN-UML and CPN (Maoist Center), but the date is yet to be finalized. According to the proposed party statute, all general convention representatives should be elected from the respective geographical areas of their party membership. 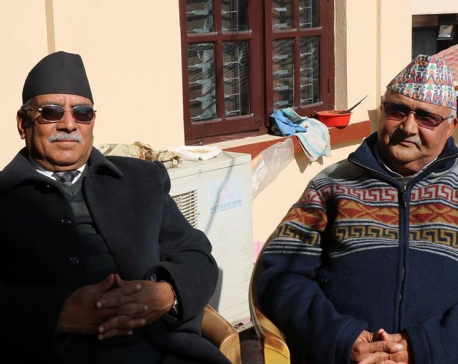 If the proposed party charter is endorsed any aspirants to be party general convention representatives including party chairpersons Oli and Pushpa Kamal Dahal will need to get elected by the party’s local units. However, some leaders of the former Maoist party who are now in the NCP have expressed fears this provision would be to the detriment of the former Maoist leaders. The Maoists were given up to a 40 percent stake in the merged party, given its strength. A former Maoist leader expressed fear whether this provision would fuel a rift between former UML and Maoist rank and file while electing the representatives. He further said that there was an understanding among the top party leadership for picking representatives through consensus at the unity general convention after the party merger.